So, he popped the question, and now it’s time to choose your Tulsa wedding venues and get this party rolling! Congrats! Let the fun begin! Getting engaged is one of the most exciting times of your life. Not just for you, but for your girlfriends too! After you’ve said yes to a lifetime with your soulmate, you’ll not only need to inform your closest friends and family, but also ask them to be a part of your big day. The best way to prepare for your wedding at your Tulsa wedding venues is to get your girls in on the action. Bridesmaid proposals come in all shapes and sizes. Between throwing a party, sending a gift basket or a card with a simple ask, asking your best friends to stand by you on your big day should be special for you both. To help you figure out how you’ll ask, Shari’s Berries put together a list of bridesmaid proposal ideas. From choosing a theme to adding sweet treats like donuts and mini champagne bottles, there’s no way your best gals could say no! Par-tay! Who doesn’t love a good shindig? Any excuse to celebrate and gather your gal pals, am I right? Having a party with everyone of your girlfriends that you want to join you on your big day is a great way to kick off the excitement of your wedding season! It’s like a bridal shower but for your bridesmaids, a bridesmaid shower! There are so many cute ideas you can incorporate for your girls! Play games, eat great food, and make cute drinks! You could even throw in little party gifts for everyone if you wanted. It can be as detailed or as chill as you want. Don’t stress because your girls will be over the moon excited that you want them to join you on your special day. Another way to ask your bridesmaid to be a part is through a gift basket! Show them how much you appreciate their friendship with funny or thoughtful little gifts. Check out this article about the different kinds of gift baskets to make your bridesmaids. You can go for a party theme, accessories that they could wear on the big day, or even a thoughtful basket that is personalized for each bridesmaid. Once you know what you’re putting in your basket, now it’s time to decorate! Use a basket, bag, or anything else that you can creatively use to put all your gifties inside! Your girls will love it! What about simply a card? Yes! That works too. This is an incredibly cute idea especially if you are asking girls to be your bridesmaid who don’t currently live near you. Everyone loves getting special things in the mail! And there are so many ways to make it cute! Opt for a BIG card? Make it elegant, crazy, or simple. Attach something small or send it with a package. Using cards to ask your bridesmaids is an idea that you can keep simple or go crazy with it! Take all these ideas, use them on their own or put them all together! Whatever you decide, your girls will be ecstatic. 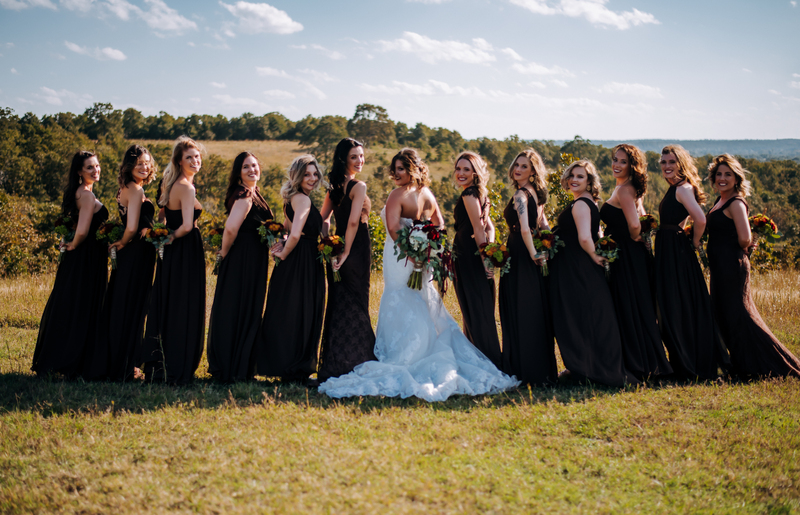 Make it special for them and whatever you do, let them know how much you appreciate them and that is why you want them by your side on your big day at your Tulsa wedding venues. ⟵Daddy Will You Dance with Me?